As some of you may know, I work for a dealership. From time to time I come across things that catch me off guard. This vehicle happens to be one of them. 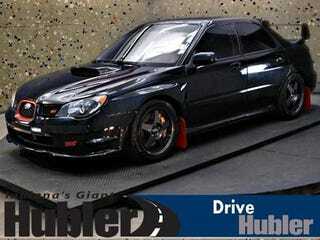 This is a 2006 Subaru Impreza 2.5 WRX STi. It does have 104,000 miles, but still...it's an STi for $11k. What do you think? Edit: Ignore the wheels in the pic, they have the original Gold wheels on it now.